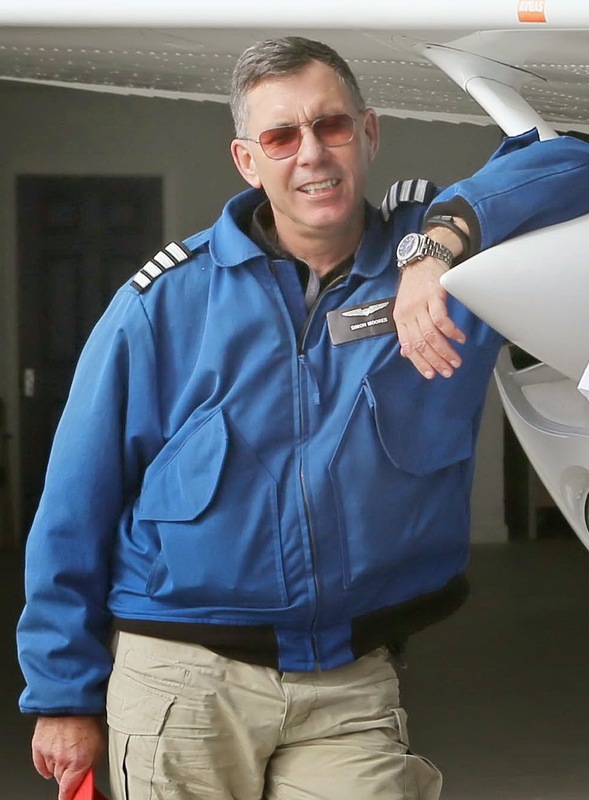 Due to the tragic death of AirAds’ Operations Director and Pilot, Simon Moores, AirAds is no longer trading. We respectfully request that no further enquires are directed to the displayed numbers or contact form on the webpage. 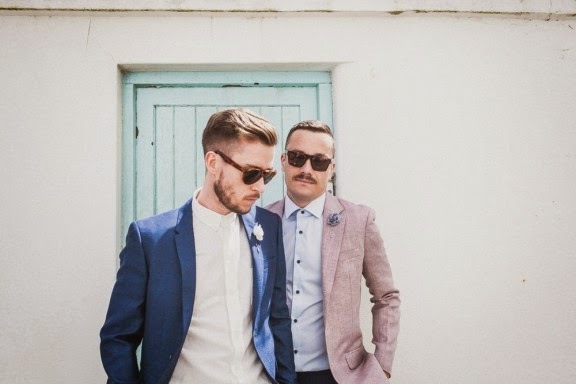 Over in Chelmsford, Essex, today, Mr and Mrs Brooks were having a big wedding celebration. One of the hottest days of 2018 too! The occasion was a marriage ceremony at the top of the building. 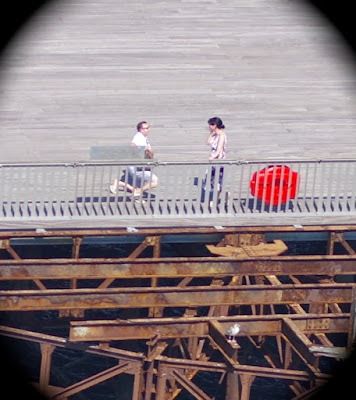 Sonya and Paul were having their big day, courtesy of the ITV, ‘This Morning’ programme, and I had to cap-it-off with a large programme logo, followed by a ‘Just married’ message with a large red heart, at exactly 12:18. The public and clients really don’t understand what a significant challenge placing an aircraft over central London involves. Why would they? Other than the simple logistics of the aircraft - it has to be a twin-engine - crew and ground crew, one has to gain the permission of NATS at Swanwick, Heathrow, Special Branch and quite possibly even the Archbishop of Westminster. London is now an intense security space and the authorities are somewhat ‘twitchy’ at the thought of any non-scheduled aviation activity inside it’s tightly policed borders. Bringing the plan together, involved borrowing the Islander BN2 from Headcorn Parachute Club, which is the only banner-towing equipped ‘Twin’ in the country, my friend and pilot, Richard, ‘Polly’ Parrott and another friend and pilot, John Waller as ground crew; a vital part of the operation in making sure we pick-up the banner in the first place and get to the target in time. The circus, in two aircraft, arrived at Denham airfield, outside Uxbridge, at 10am and from there we set-out the banner on the grass and then waited for 11:30 to come around, at which point, ‘Polly’ and I departed into the airfield circuit and trawled the line, attached to the banner, strung between two posts, ten feet off the ground. With lots of time to spare, we trundled off to an area North of Alexandra Palace, the official entry route into central London, received our clearance from Heathrow ‘Special’ and then went into a series of orbits until exactly six minutes past twelve, when we were cleared to enter the London control zone, with a direct route to the Millennium Eye wheel and Westminster, over the bridge and onto the South Bank of the Thames. Arriving on the South bank, we did one orbit to bleed off some time and then headed straight to The Shard, you can’t miss it, and proceeded to orbit it for a good ten minutes before retracing our steps, out of London and back to where we started at Denham for a coffee and a nervous breakdown. It’s hard enough to fly a banner with a single engine aircraft - see video - with a big heavy twin-engined tractor like the Islander, it’s much much more complicated, which is why, I assume, nobody else on the planet I know of, is actually crazy enough to try it. 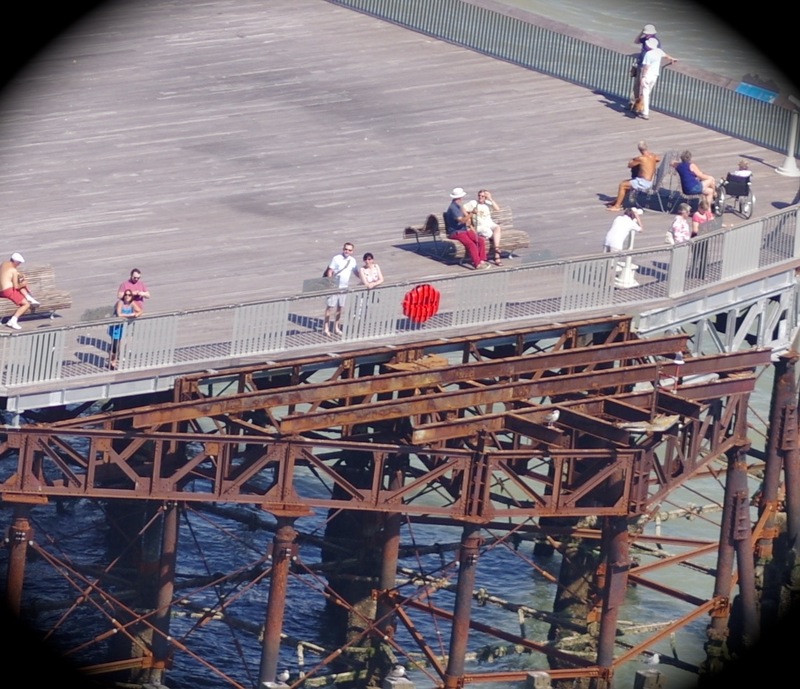 Congratulations John and Rachel, captured during that special proposal moment on the end of Hastings Pier in today's heatwave. 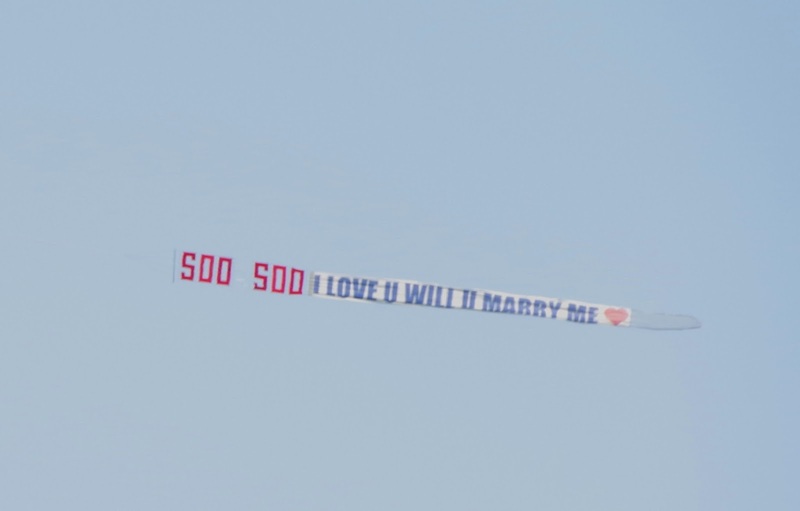 Airads succeeds once again in bringing romance to the air. A Blustery, showery afternoon on the end of the pier at Southend but true love prevailed and Suheil gallantly proposed to Gemma and was caught in the act by the aircraft camera! 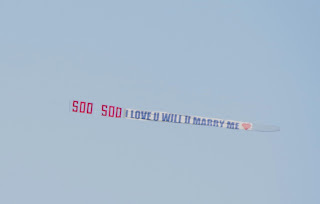 Congratulations both of you and we hope you'll be very happy together. 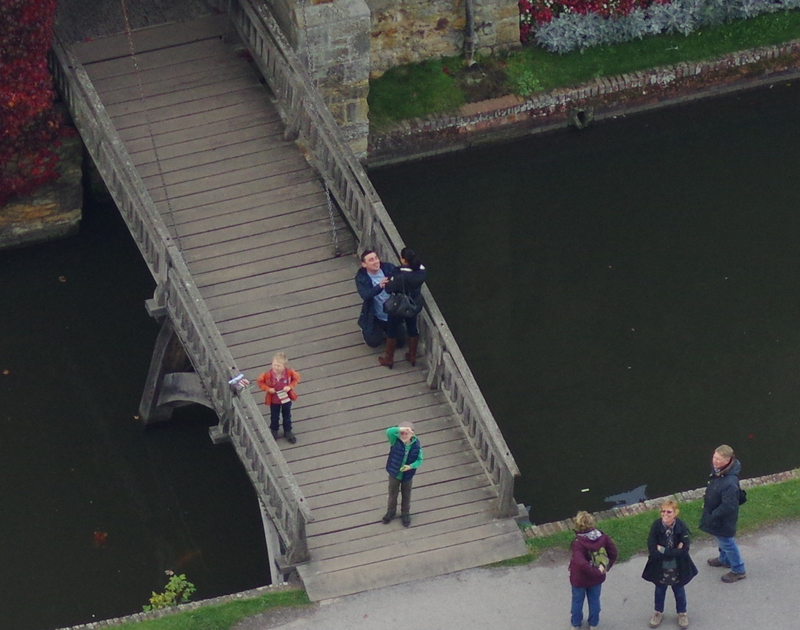 Congratulations Martin and Sam at the lovely Hever castle in Kent this afternoon. It took weeks of preparation and lots of worry during yesterday's bad weather but it all worked-out perfectly in the end as you can see from the photo, taken with the aircraft camera. Massive coverage for the first banner of the season at St Mary's Stadium, Southampton, where The Saints took on Everton. 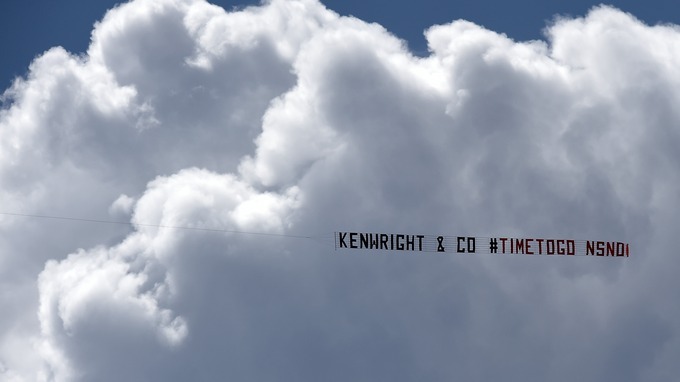 Everton fans had commissioned a banner calling on the club's chairman to stand-down and this flying gesture attracted significant attention across the sports media. 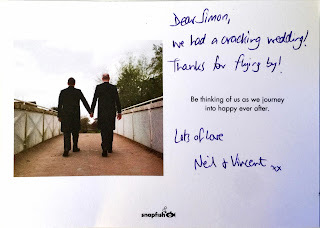 It's not often we get thank you notes from our clients but this one in particular was a lovely gesture, following the wedding of Neil and Vincent near London, earlier in the summer. Congratulations Alan and 'Soo Soo' at this afternoon's Festival of Love at Glynde in Sussex this afternoon. After this morning's big thunderstorms, it turned-into a lovely afternoon for a marriage proposal. Here's the festival from above. 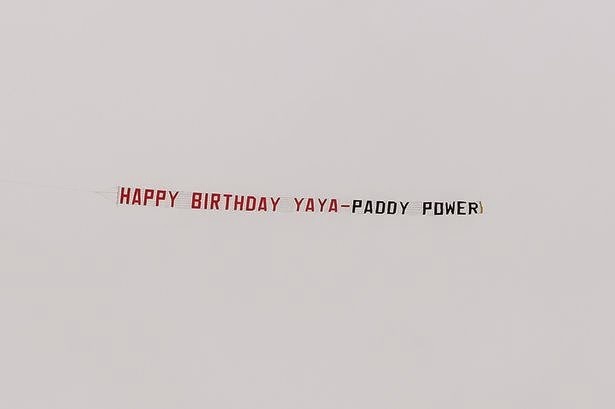 Irish bookmakers Paddy Power booked Airads to fly a 'Happy Birthday Yaya Toure' banner over the Etihad Stadium as Manchester City took on QPR today. The Ivorian is reported to be off in the summer, with Inter Milan - and former manager Roberto Mancini - favourites to sign him. 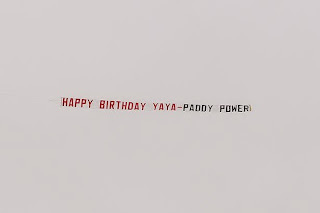 City were playing QPR so it seemed like the perfect opportunity to wish Yaya a happy birthday. 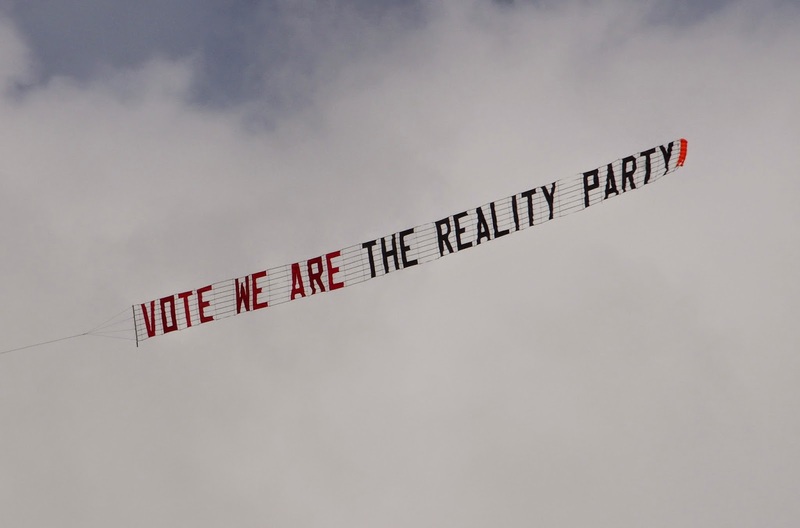 Pictured earlier today, The Reality Party banner flying over Ramsgate and South Thanet in Kent, with less than a week to go before the polls open for the General Election. Airads may have some more political banners to fly very soon. 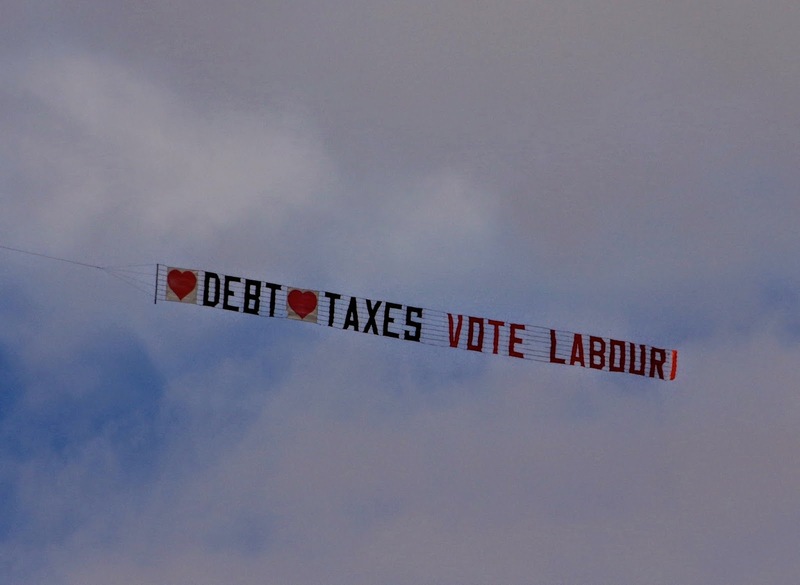 To celebrate the campaign visit of Guardian columnist and left-wing author, Owen Jones to Ramsgate, in support of the Labour candidate, Will Scobie, a special banner was flown today. Possibly not quite what either had in mind for a good campaign day out before the General Election in the strategic seat of South Thanet? On Saturday, we were part of the search for Toby Terrier;#FINDTOBYTERRIER at Wokingham. I do hope that someone does the right thing and returns the little fella as the owners are trying so very hard to find him and bring him home. Update: delighted to hear Toby was found and returned today. Of course we are absolutely delighted for both of them.